We've had a lot of things happening in the land of (WANING). First, Jeff left the band in October, and we are currently playing with Ian Black of Nilshiphter on the bass. Before he left, Jeff played bass on an EP called "Broken Path", which will hopefully see the light of day on a small record label soon. We have posted the first song on our Reverbnation page, so go check that out. It's called "Marching Down" and it may be our best song yet. 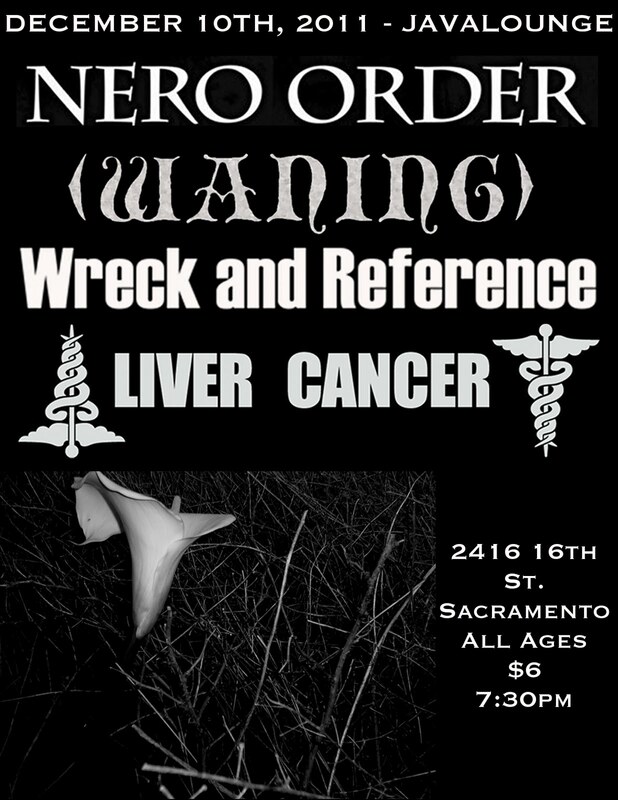 Our last show this year will be on December 10th with three amazing bands, Nero Order, Wreck and Reference, and Liver Cancer. These bands represent three forward-thinking and unique takes on heavy music. 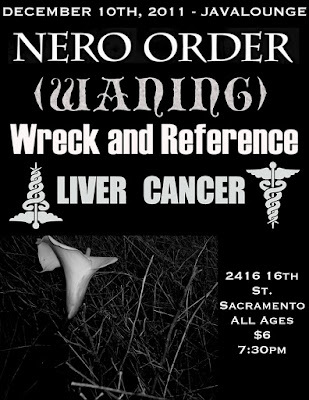 The show is at the newly resurrected Javalounge in Sacramento. RSVP on the Facebook event page here.